Custom window treatment designer serving interior designers and individual home owners with superior quality fabric treatments and bedding. Our fabric treatments include interlining as a standard detail at no extra charge. I have a degree in design and marketing and have been designing window treatments for over 25 years. As a 3 Day Blind Design Consultant, I partner with clients to create the perfect window treatments to finish (or begin) their design concept. By taking function, suitability, personal style and budget into consideration, we work together to create an affordable look that is both welcoming and visually pleasing. 3 Day Blinds has been designing and manufacturing quality window treatments for over 40 years and is vertically integrated. This means my clients work with ONE company to design, measure, manufacture and install their window treatments and we will be there to handle any warranty issues if needed. 3 Day Blinds surveys its customers after every design consultation. As of January 05, 2019 I have received a 100% overall satisfaction rating. 97% of my clients who responded to the survey said that I exceeded their expectations. I love my job and cannot wait to work with you! With over 20 years of experience in film installation, Tint Pros provides the best products and installations in the Window Film Industry in Northeast Ohio. Stocks Draperies was established in the early 1970s by Don and Nikki Stock. Their son Nick is now part of the business, which specializes in custom draperies and window treatments. Known for serving the greater Stark County area for many years, Stocks Draperies provides exceptional quality and service to both residential and commercial customers. 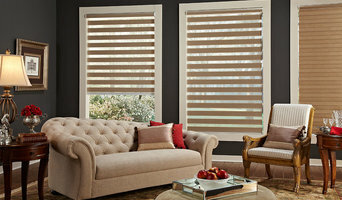 Stocks Draperies is an official Hunter-Douglas Showcase Dealer, carrying the complete line of shades and blinds. 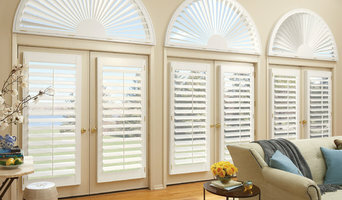 Preferred Lafayette Interior Fashions Dealer More Than Blinds is your only choice for elegant, luxurious home decorating. And, our consultation is FREE. Look through all we offer, then call or e-mail to set up an appointment. You'll be amazed at all the options we have for you. We offer a wide variety of shades and colors and most of our film comes with a limited lifetime warranty. Retail and wholesale drapery workroom. 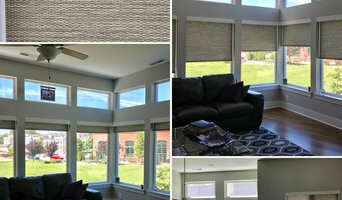 I offer shop at home service for blinds, shades and custom window fashions. Custom-made drapery, pillows, bedding, and other soft furnishings for the home. I love designing custom window treatments. I enjoy working closely with clients to ensure their design goals are achieved and the project is aesthetically pleasing. It is very important to determine the needs of a client from their privacy needs to light control. Smith and Noble offers a wide variety of window treatments from Draperies to Shutters, And of course we can motorize most products. Providing a free In home design appointment ensures a perfect fit. Gotcha Covered helps add beauty and value to homes and businesses by providing custom window treatments for virtually any style or budget. Gotcha Covered has the national buying power and exclusive relationships with the top manufacturers in the industry, including Hunter Douglas, Graber, Lafayette, Timber and many others. Call now to set up a free, no-obligation consultation! Timan Custom Window Treatments is family owned and operated serving Northeastern Ohio and surrounding communities for 30+ years. We have three Gallery locations to serve you – Independence, Rocky River and Chagrin Falls. We offer comprehensive solutions for all your interior design and home decor needs, such as custom window treatments from Hunter Douglas including, Duette® Honeycomb Shades, Silhouette® Window Shadings, Luminette® Privacy Sheers, wood blinds, shutters just to name a few. We also design custom curtains, drapes, valances, bedding, cornices, upholstery and more in our on site drapery workroom. We’re your source for top quality custom window treatments. Sunburst offers plantation shutters, blinds, shades, draperies and window film to fit any decorating style and any budget. We pride ourselves on offering the best window coverings in the business. If you’re looking for outstanding quality backed by great warranties and the best customer service in town, you’ve come to the right place. Suntrol is Ohio's leader in window film, the 2017 recipient of Eastman's coveted National Dealer of the Year award, and a seven-time Angie's List Super Service Award winner. Suntrol is also an Eastman-certified Select Pro Dealer. Window film saves energy, protects from damaging sunlight, improves security and privacy, and provides endless custom design solutions including frosted glass. Owner, Karen Tettlebach, studied Fashion Design at Virginia Marti College of Design & Art. She studied three years of Architecture and Mechanical Drawing, and has been a seamstress for 45 years. Interior Enhancements has been in business since 1996, boasting over 20 years of experience, training and education. One of the first projects in business was designing and fabricating window treatments and bedding for several model homes in Avon Lake for Kopf Builders. Karen spent many years working with Interior Designers all around the Greater Cleveland area. Her expert knowledge ranges from window treatments (drapery, valances, Roman shades) and blinds up to, and including shutters. Products include: Window Treatments, Blinds, Shutters, Bedding and light upholstery (cushions indoor/outdoor). We personally handle all soft goods fabrication. Blinds: Hunter Douglas Priority Dealer Lafayette Venetian Blind Advantage Plus Dealer Smart Technology for Power Rise blinds and "The Hub" to integrate with Smart Phones, IPad and Home Security systems. Fabrics: Five designer lines of fabric and access to many more. Custom Hardware. In Home Shopping! "Store on wheels" Expert assistance with design, color and blind selection. Professional installation with experienced installers. 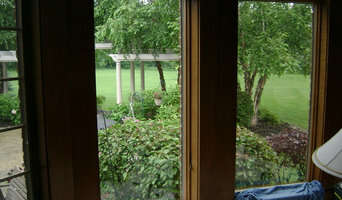 Objective: To assist homeowners in the two layers of window coverings. Blinds for light control and privacy. Soft goods for added light control and decor. We offer sensible solutions at affordable prices. We are always there to protect your investment after the installation. The Design Process: Every design plan begins with you. New York Textiles & Interiors takes pride in our design process and personalized service. We listen to your dreams and ideas then collaborate with you to design your space. Whatever your design style or design needs may be, we have the products and services to bring your dreams into focus. So go ahead You Dream… We Design. Therese Kish, Owner of New York Textiles & Interiors FBE City of Cleveland Certified ASID Member Ohio Design Center Designer on Call BA Marketing – University of Akron IDAD Interior Design – Cuyahoga Community College Specialty drapery design, blinds and shade specification and sales, re-upholstery services.